Is the fast-paced, ever-changing corporate world on the verge of a skills crisis? The challenge to bridge skill gaps in organizations is becoming increasingly tough, mostly due to the accelerating pace of technological change. It is not uncommon to hear business leaders and employees talking about the skills gap. Basically, a skill gap is a gap between what employers expect in terms of productivity from their employees and what the latter can actually do when they walk into the job. The mismatch between the organization’s skill needs and the current capabilities of its workforce negatively impacts the company and usually results in delays in product releases, lowered customer satisfaction and loss of revenue. This means that skills gaps carry a huge risk for organizations explaining the urgency to identify and solve these issues as soon as possible. There have been contradictory views about skill gaps in the past decade. In the 2013 editorial board of The New York Times, the concept of skill gaps has been addressed as “mostly a corporate fiction”, highlighting “don’t blame the workforce”. Other studies such as the one conducted by Udemy, an online training company, challenged this particular view with strong evidence from their survey – from a poll of 1000 randomly selected Americans between the age of 18 and 65, the survey showed that 61% of employees also feel there is a skills gap, 54% report that they do not have all the skills needed to do their current jobs. Most of them reported lacking technical skills, including computer skills and management skills. Besides, a 2013 Deloitte survey reported that 39% of executives at large companies said they were either “barely able” or “unable” to meet their needs for talent. Those statistics clearly indicate that action needs to be taken to bridge the gap. The first step includes identifying those skills deficiencies within your organization. How to identify organizational skill gaps? It is crucial to know where your employees lack skills to perform their tasks efficiently. One of the best ways to do this is to test them and get to know how well they are performing their jobs. Therefore, skill testing will provide you with a good benchmark to further investigate the issue and ultimately provide solutions. For instance, during the process of creating custom academies for training and development within global organizations, Procurement and Supply Chain Academy start with an assessment and a gap analysis which gives a clear picture of which competencies need training and to what extent. This proves to be more efficient as each learner is then assigned a different learning plan according to the skills he/she needs. For instance: the chart below shows the competence level for various skills and identifies where a “catch-up” is necessary. How to solve the issue? The best way to tackle the problem of skill gaps is by investing in an effective training and development program which not only can provide the necessary expertise and knowledge but also allow employees to be competent in applying what they are learning in their day-to-day jobs. Such application-based training is what contributes to more productivity by solving skill gaps. 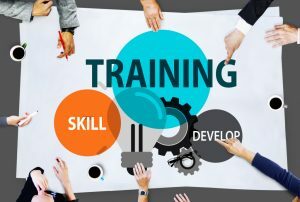 For instance: at Procurement and Supply Chain Academy, the focus is on training people through modern learning solutions such as scenario-based video, simulation, and webinars. All these prove to be highly effective in creating engagement and motivating employees to complete their courses. Through their customized learning plan, employees can learn new skills with high accessibility to their online courses, and they can even track their progress with just one click. Furthermore, studies have shown that 72% of companies have experienced increased competitive advantage due to online training and every dollar invested in online training results in $30 in productivity. Surprisingly the skills you are looking for may already exist within your organization. Internal job mobility is the key to providing employees with flexible career paths within the organization. In a study conducted with American Express, 73% of managers have reported to be willing or extremely willing to support employees who want to move within the corporation and 48% of employees are either very interested or extremely interested in making the move. After evaluating employee capabilities and designing processes to encourage internal job mobility, employees can be assigned to different roles where their skills are in demand. Companies like Google are well-known for broadening their search by screening candidates based on the quality of their work or their biography rather than focusing on where they studied or their work experiences. Using such analytical skills make it easier to find high performing people. For instance: Google might ask biographical questions such as – Have you ever started a club? Have you ever set a world record in anything? Such questions have been proven to be statistically correlated with top performance within the company. Using such techniques can be considered as a preventive measure to avoid facing skill gaps within your organization. Great working conditions motivate top talent. 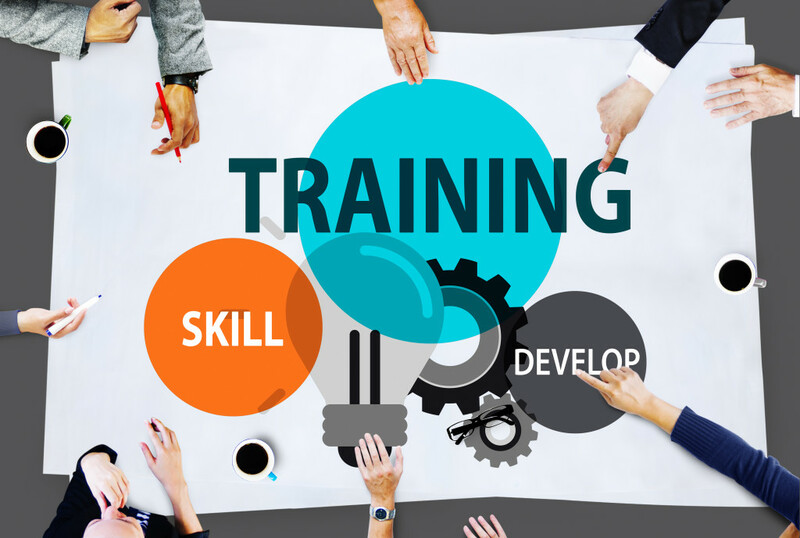 After up-skilling employees through effective training and development programs, it is important to know how to retain them within your organization. Relying on a big paycheck to keep your employees is not always the solution, it is also essential to provide them with perks comparative to others in your industry. Also, training opportunities should be ongoing. With this kind of environment, employees are likely to stay motivated, productive and to experience job satisfaction. The constant evolution of industries is certainly raising the skill level needed to thrive in the workplace. Addressing the issue of the skill gaps have been one of the main concerns of organizations during the past few years. While employees are expected to make the necessary efforts to learn new skills, it also largely depends on employers who need to act to solve skill gaps.